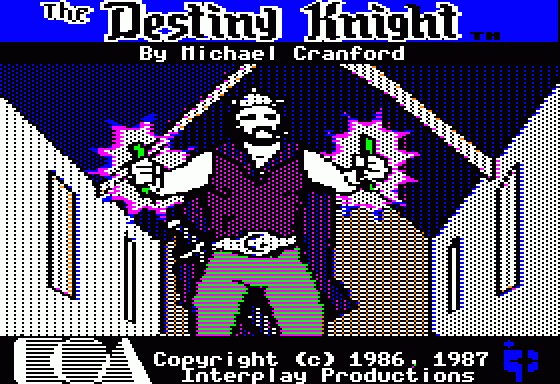 In this interview, Michael talks about the Bard’s Tale series, Interplay, his falling out with Brian Fargo, as well as Centauri Alliance and Brøderbund. We are grateful to Michael for taking his time to do this interview. How did your idea to, as you put it elsewhere, "blow Wizardry away" originate? In what ways did you intend your games to be different from Wizardry from a design standpoint? I loved the game, and spent many long hours playing it in my apartment in Berkeley. As a programmer, the limitations of the game were obvious to me (largely a result of the fact that it was programmed in Pascal on a computer with 48K of memory). I had already begun to develop videos games in assembly language, and it struck me that I could provide a much bigger, more graphical, memory-efficient, and detailed game than Wizardry. While I couldn’t then play and enjoy it myself, I knew that I would reach and enthrall tens or hundreds of thousands of people like me, if I did build something better. 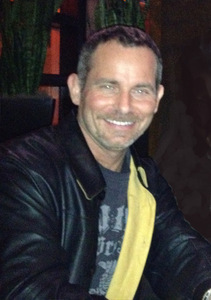 I’ve also been an artist and writer most of my life, and an avid reader of fantasy fiction, and I had previously created and illustrated numerous D&D dungeons (for friends, nothing that was ever published). I knew that I could develop a plot for the game that was going to be more interesting than simply locating and finding a sword with a higher hit and damage rating. 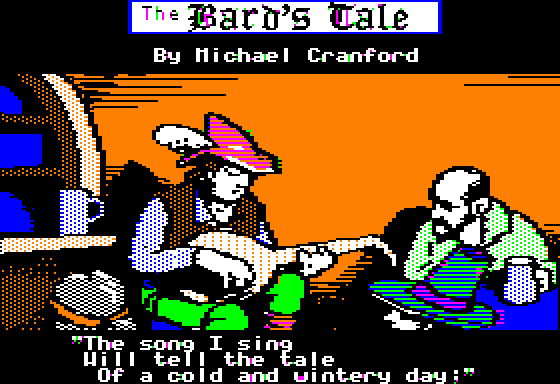 Why did you decide to make the Bard and his music the central part of the game’s concept? What did you like the most about that character class? In another interview, you have said that you intended Bard’s Tale II to be tough but not as tough as it turned out to be, and blamed that on a lack of playtesting. The game's manual lists three playtesters - I assume that wasn't enough? How much time did you have to playtest the game? 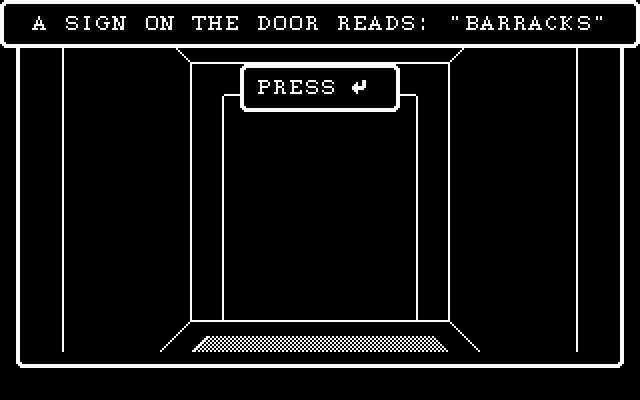 When entering the stables in Bard's Tale I, we are told that the horses have been eaten by monsters. Was it intended at any time during the development of BT1 to implement the purchasing of horses to perhaps exit the city of Skara Brae after Mangar's spell of eternal winter was destroyed? Or was there ever to be any plot or additional dungeons or secret passages involving the stables? The real-time puzzles called “snares” in Bard’s Tale II are good in concept, but they also seem to be one of the more frustrating parts of the game. How did you come up with the idea for them? Were you happy with the implementation of snares and how they were received? At the time I thought the snares were awesome, and I don’t remember receiving any negative feedback. But again, I think the playtesting was lacking. It was a few years later that someone told me that they were extremely difficult and frustrating. 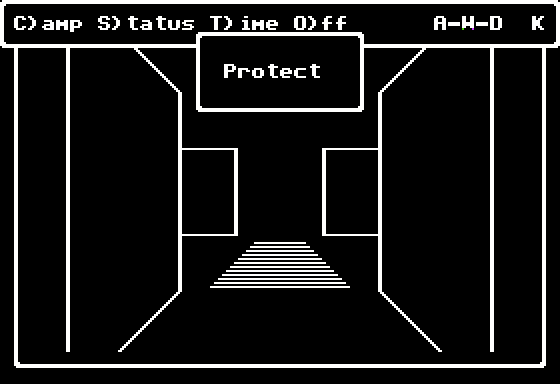 Bard’s Tale II also allowed the player to summon monsters to join the group. What inspired that idea? 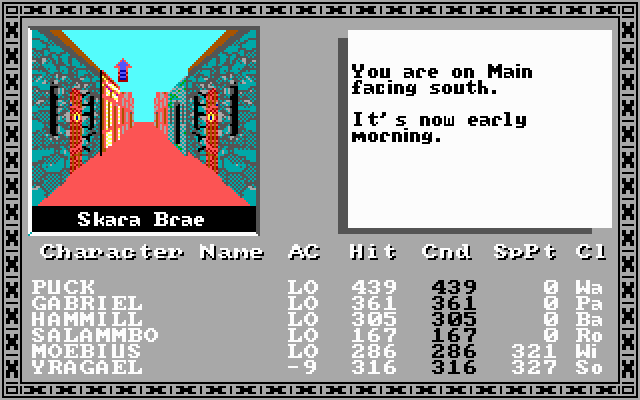 Bard’s Tale I only took place in one town, whereas the second game has six towns as well as a large world to explore. Was that the direction you wanted the series to take from the start? If so, why hadn’t you implemented a larger gameworld in the first game as well? To approach the same question from a different angle, Bard's Tale II was released only about a year after the release of the original Bard's Tale and included quite a few enhancements over the original (huge gameworld, banks, casinos, ranged combat, more spells, real time snares, more monster abilities and monster inventory, etc.). How was so much accomplished in such a small window? Personally I loved the level design in the Bard’s Tale games – with all the spinners, anti-magic zones, darkness zones, etc. How did you approach designing the layout of the games’ dungeons, and what are your favorite Bard’s Tale I and/or II levels (if you can recall that)? 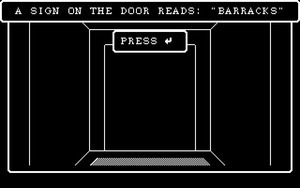 After Bard’s Tale II, you not only left Interplay, you said you were also disillusioned by the industry as a whole – and so you went back to the university to study philosophy and theology. Could you tell us more about your experience with the industry at the time and what about it made you feel the way you did? Have you played Bard’s Tale III or Dragon Wars? If you have, what are your thoughts on those games? What did you enjoy about them, and what did you not? 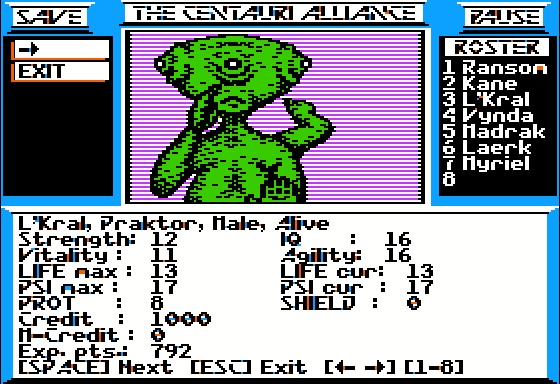 Could you tell us how you got to work with Brøderbund on Centauri Alliance? Was it your or Brøderbund’s decision to develop the game exclusively for the Apple II and Commodore 64 platforms (which ultimately contributed to its relative obscurity)? 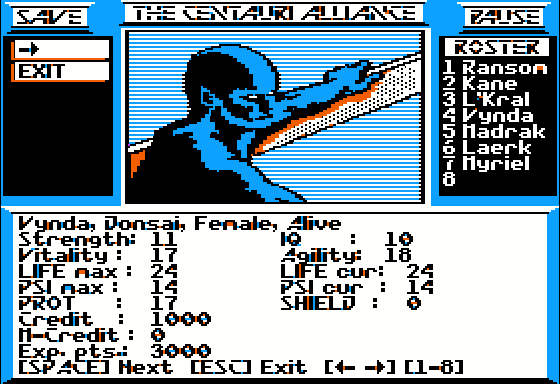 Why didn’t you create an Amiga or DOS version of Centauri Alliance after you were done with the Apple II and C64 ones? You say the Centauri Alliance development got stalled. Why did that happen? 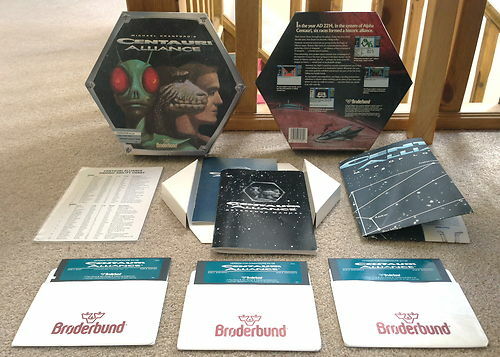 The “RPG side” of Brøderbund, and the company’s history at the time of Centauri Alliance's release, remains relatively little known to this day. Coud you tell us more about the people you interacted with at Brøderbund, and what you enjoyed (or didn’t enjoy) about the company culture and atmosphere there at the time? How supportive were they about your project? 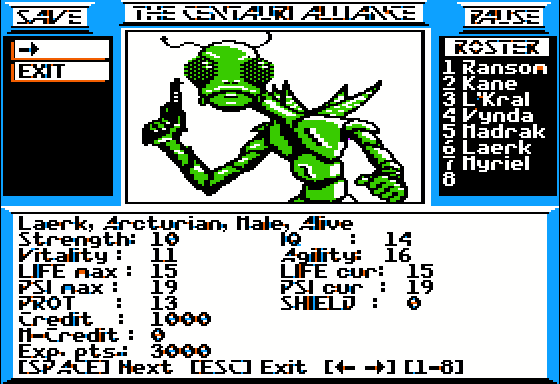 In Centauri Alliance, you went from the Bard's Tale-style combat to a hex grid, introducing a unique compromise between the first person menu-based combat and the full-blown tactical isometric combat characteristic of e.g. the Goldbox games - your party moved around on the hex grid but was only represented by a single sprite. What motivated that design decision, and why didn't you go for a Goldbox-like combat? For Centauri Alliance, you created a huge sci-fi universe with unique races. What were your inspirations for the game's setting? How did you approach designing the psionic abilities - and in particular, what motivated you to introduce the shape-changing ("metamorph") skills exclusive to the Praktor race? Can you tell us more about the sci-fi book you're working on? "This could turn into the next big science fiction series," said the 1990 QuestBusters review of Centauri Alliance. Were the first game's sales too poor for Brøderbund to be interested in turning it into a series? Did you have plans for Centauri Alliance II, and if so, what can you recall about them? 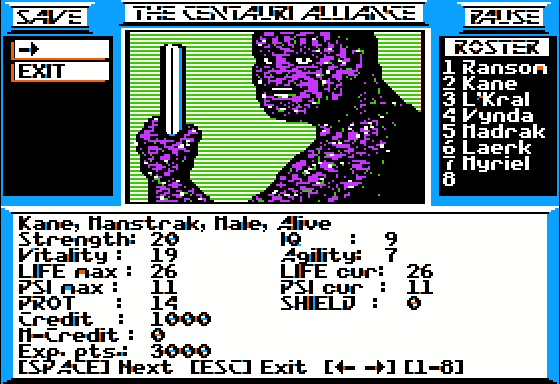 Despite the mixed reviews that Bard’s Tale II’s real-time snares received, you also added timed puzzles to Centauri Alliance (such as running through a maze to shut down the reactor before it explodes). Do you believe real-time elements can add something to a turn-based RPG? Speaking of real-time elements, why were random encounters in BT1 and BT2 checked in real time instead of each time you moved or turned? 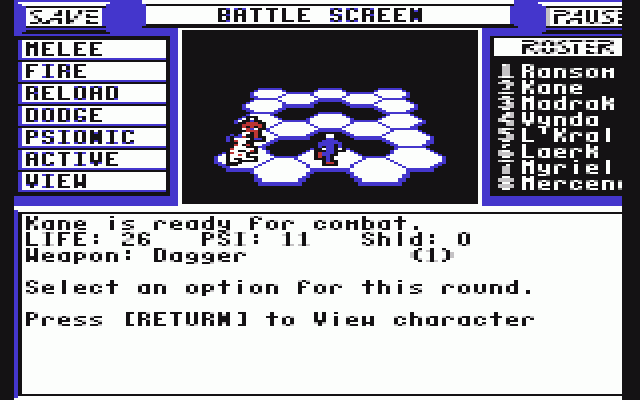 Sometimes you would end up with multiple battles in the same square since you didn't even have time to distribute new loot before being beset by a new monster group. Do you have any thoughts on the ongoing "oldschool" RPG revival fueled by Kickstarter projects like Project Eternity or Wasteland 2 and indie titles like Legend of Grimrock? Even a major publisher like Ubisoft is now designing Might and Magic X as a grid- and turn-based first-person RPG in the vein of World of Xeen. Why do you think oldschool RPGs are making a comeback? Do you happen to have any plans for remakes or Kickstarter projects? Generally, do you see yourself working in video games again? Special thanks go to the people who submitted their questions for this interview! Your contribution was much appreciated. If you enjoyed this interview, be sure to check out the other ones in our retrospective interview series.